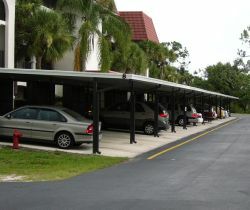 Carport Croydon - Columbus Homes, located in Croydon, specialise in recreational, domestic and commercial carports. Columbus Homes offers durable and affordable carports to protect your car from damaging sun and insulated patio covers to provide cooling shade as well as protection from rain for your patio area. These products can be custom sized for almost any need. Beyond its beautiful design, Carport Croydon - Columbus Homes brings durability, ease of care and above all, protection from the elements. No more standing in the rain or glaring sun, fumbling for your keys. No more picnics or parties ruined by bad weather. No more worries about harmful sun damage. Carports are ideal for protecting your vehicle from the elements. 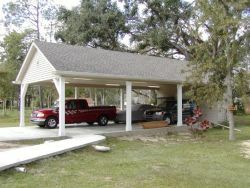 Carport designs are generally a free standing structure or attached to a wall with an open wall area for greater ventilation. The design of your carport should blend in with your house style and our design team at Columbus Homes can help you match your new carport to the existing character and architecture of your home. 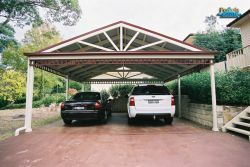 Columbus Homes’ carports are built from first grade materials made to withstand harsh Australian conditions. Our carports are available in a variety of finishes and styles from flat roofs to gable roofs and they are specifically designed to suit your individual home.